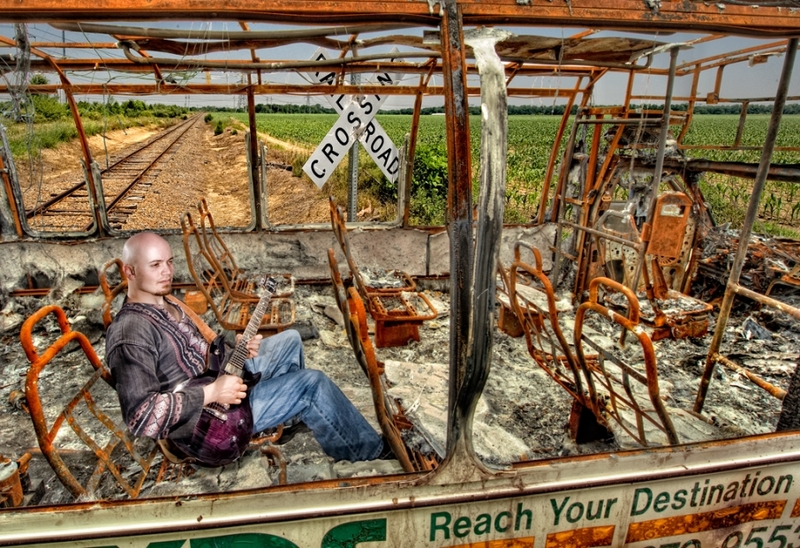 Here’s another shot of the musician, Jordan Page in the burned out bus. This bus caught fire from an electrical short, the passengers decided to walk rather than wait for the backup ride, I wonder why? Not the best day of publicity for mass transit. Jordan is actually sitting on the bus in the bus parking lot and I’m standing in another bus (burned out too) with my ringflash shooting down on him. I set up an SB800 behind and in front of him. The background was added later. 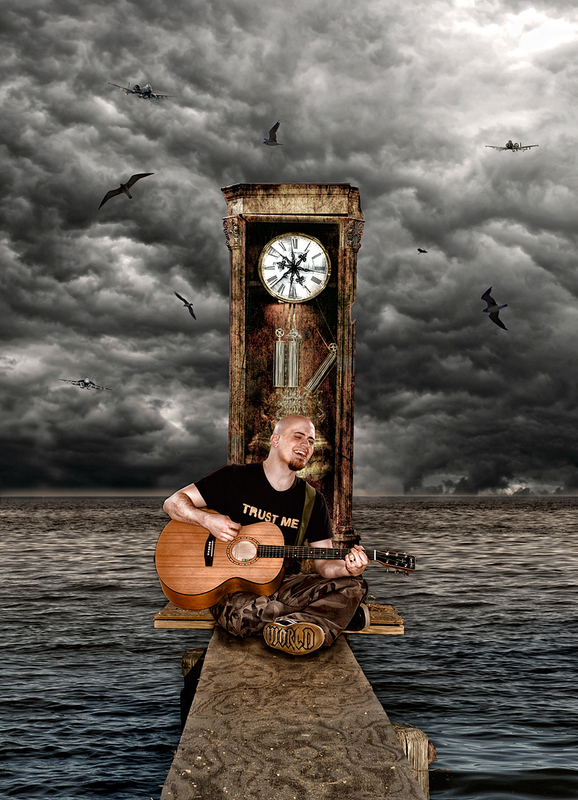 I told him to relax and just strum away, then he broke into the song “The wheels on the bus go round and round…..” Now that had us laughing. Perfect Execution of an Idea!! Was the Reach Your Destination planned?